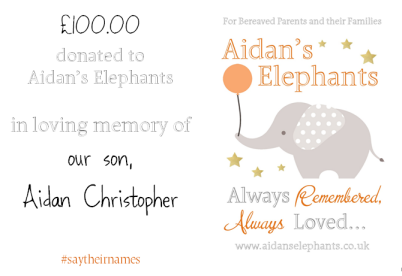 One way to support Aidan's Elephants, is to organise an event or take part in a sponsored activity in memory of your child. This is a beautiful way of involving your family and friends in something which is in honour of your little one. If you would like to hold a fundraising event for us, or if you are taking part in a sponsored activity (such as a race) - please let us know. To get started, you can download our printable Sponsorship Form and Info Sheet at the bottom of this page. We will help wherever we can with any additional fundraising resources you may require. We can also offer you promotional posts about your event across our social media pages, and if you would like any advice when organising/planning your event, we can help you with that too. We have received amazing support from parents who have raised money in their child's memory, and from their families and friends who have dedicated fundraising to their children. 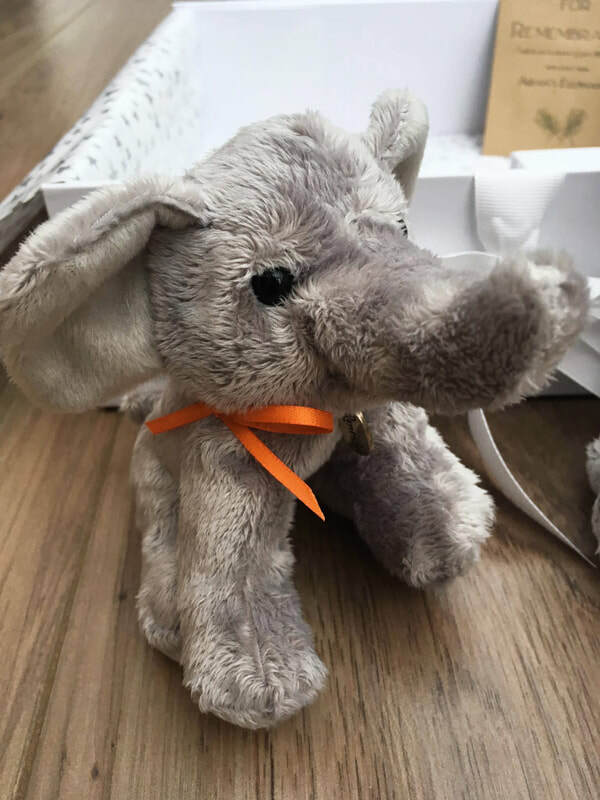 If you have fund-raised for Aidan's Elephants and would like us to feature your photograph on our website, please download our printable #selfie sheets. We would love to see your photographs and share all the amazing things you have done to raise funds in honour of your little ones. Download your own #donationselfie sheet. Download your own #fundraisingselfie sheet. Here are just some of the people, events and achievements that have provided funding for our Memory Boxes, funding for bereavement training and for equipping the Sunbeam Suite. Thank you all so much for your support - we could not provide the service we do, without you behind us.